Why Bother with Christmas at Animal Kingdom? Christmastime at Animal Kingdom. Bah Humbug! Christmas isn’t in keeping with the themes of Animal Kingdom – education and conservation. Animals don’t even celebrate Christmas and it’s the least decorated park by far. They even got rid of Mickey’s Jingle Jungle Parade. So why bother? 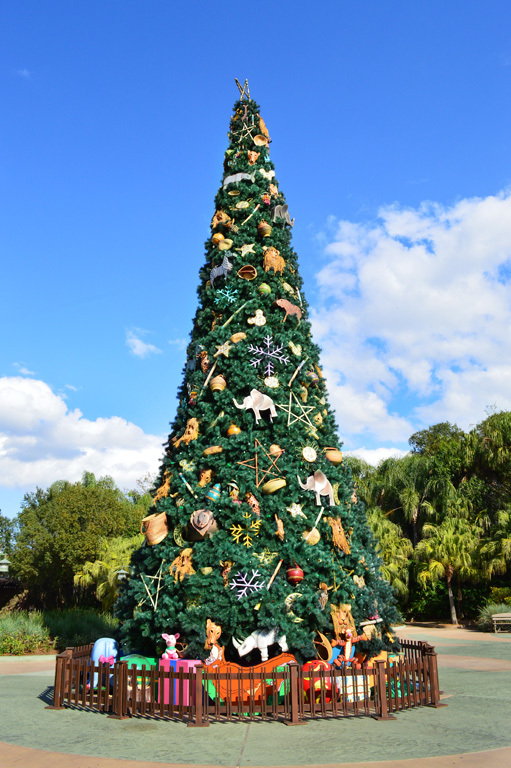 Animal Kingdom’s Christmas Tree. Photo by Mike Billick. 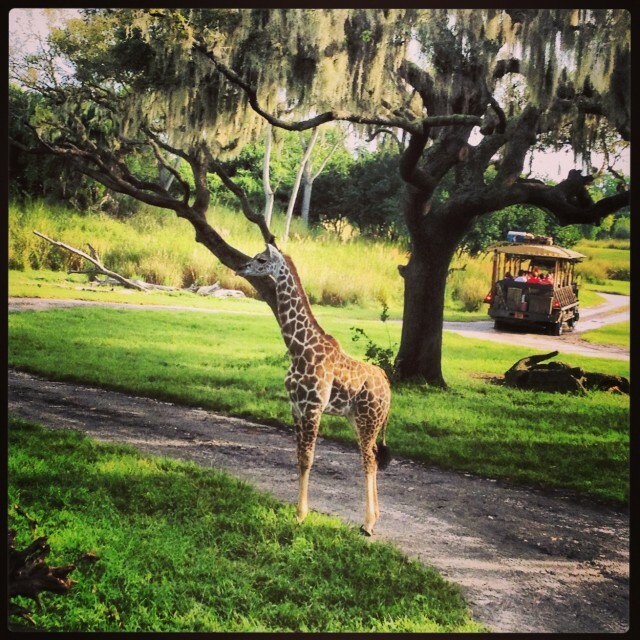 Sure, Christmas might not be the first thing on your mind when you think of Animal Kingdom. But I believe there is the potential for a unique and beautiful reinterpretation of holiday traditions there. With the parade gone and so few decorations it would certainly be easy to save money by removing Christmas entirely from the fourth gate – but at what expense? WDW prides itself on Christmas celebrations at Magic Kingdom, Epcot, and Disney’s Hollywood Studios. The hotels get in the spirit of the season too! And Downtown Disney transforms into the best holiday shopping experience you can imagine. Everyone gets into the fun. Everyone except Animal Kingdom. Wouldn’t a festive safari be nice? Photo by Stephanie Shuster. So I hereby issue a formal request (Disney, I hope you’re listening): please Please PLEASE bring Christmas back to Animal Kingdom! Animal Kingdom is the most detailed and outstandingly beautiful of the American Disney parks – deck the halls with uniquely themed decorations specific to each land! Add holiday songs to the set lists for the street bands and musicians! Have festive twists on holiday treats (elephant gingerbread and cranberry spiked jungle juice anyone?). And special items for holiday shopping, oh the shopping! I’ve got my fingers crossed that the lack of holiday spirit at Animal Kingdom in 2014 is only temporary and that there will be a huge splash of Christmas festivities next year when nighttime activities come to Animal Kingdom as part of the park’s future plans. Consider it my Christmas wish. Hoping for a WILD Christmas at Animal Kingdom. Photo by Danny Shuster. What do you think? 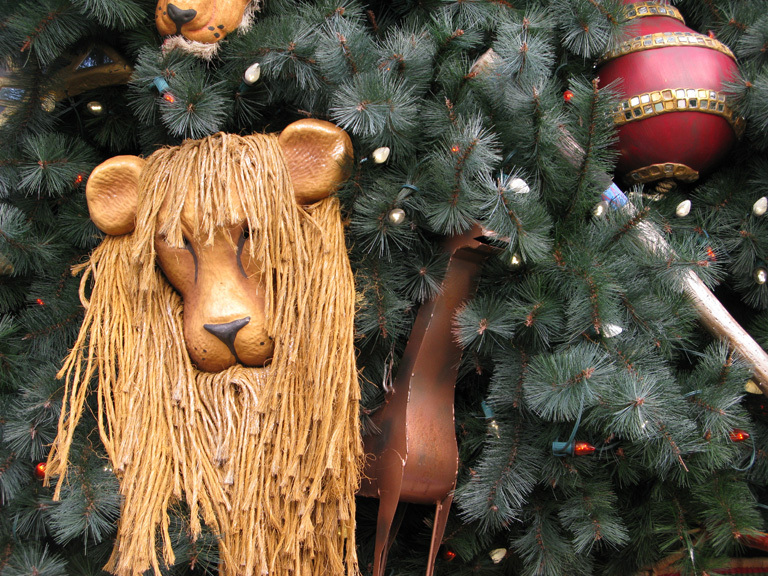 Does Animal Kingdom need a renewed Christmas spirit, or should WDW just forget about it? I agree that Animal Kingdom should be decorated for Christmas. It would make it a very special time, and I think more people would come. Thanks for the article. 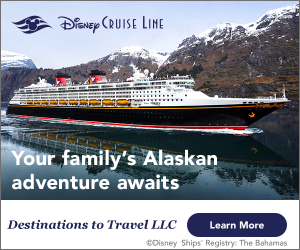 We will be going down in a couple weeks and wondered if we should head to AK or just skip it all together. Now I am glad we are skipping it. I think we would be a little bummed to see the lack of holiday spirit.